Hollaaa! 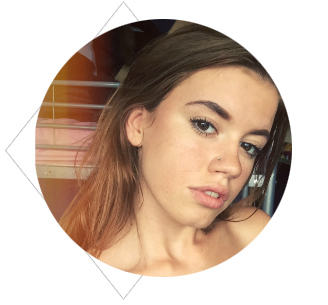 I've got a bit of a different post for you guys today, and its one that I've certainly never done before. Being a hair dye queen and knowing quite a lot about the stuff, my younger sister came to me and asked me to help her dip-dye her hair. 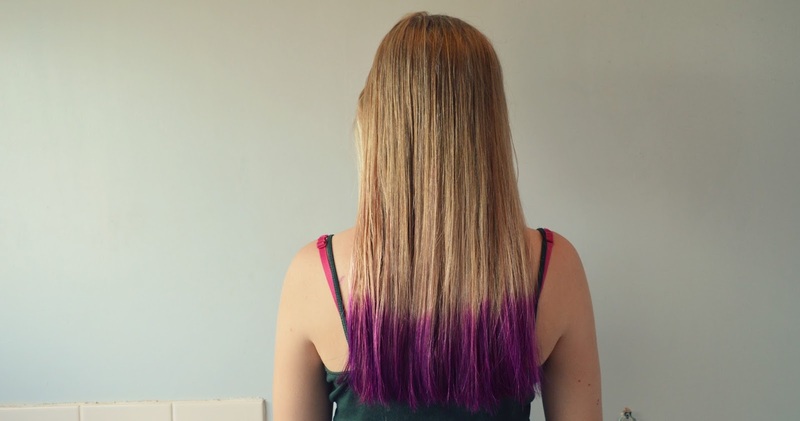 Having never had long blonde locks myself, I couldn't contain my excitement when she mentioned the word 'purple' - having darker hair means bright colours are difficult to achieve, and I'd certainly never experimented with blonde hair before. Luckily she has allowed me to share the results on my blog and talk you all through what we did - I think the results are lovely! It's also super easy, inexpensive and washes out after several washes - no excuses now, guys. 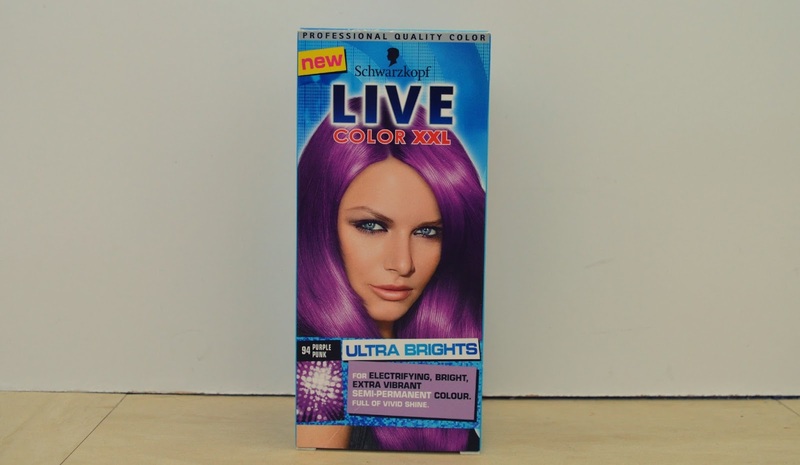 We picked up Live Colour XXL in shade 95, Ultra Bright Purple Punk for just £3.99. As my sister has to go back to school in five weeks, we decided to go for a semi-permanent dye that will wash out after several washes. I also didn't want to be responsible for permanently dying her gorgeous blonde hair, or it going wrong etc. It's always different when it's someone else's hair! 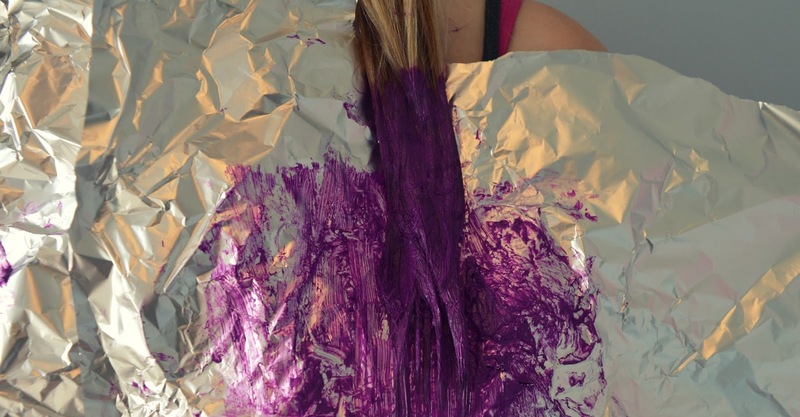 The semi-permanent hair dye comes with two conditioner sachets, and a tube of hair dye (no mixing involved!) making it straight-forward and easy. Half following the instructions and half following my own experience (unless you have experience, definitely follow the instructions), we squeezed the dye into a big bowl and mixed it up a little with a dip dye brush that I purchased from Wilkinsons. When dip-dying my own hair for the first time, I read that splitting your hair into two bunches and then applying the dye makes it much easier and cleaner to do, and so far this method has not let me down. 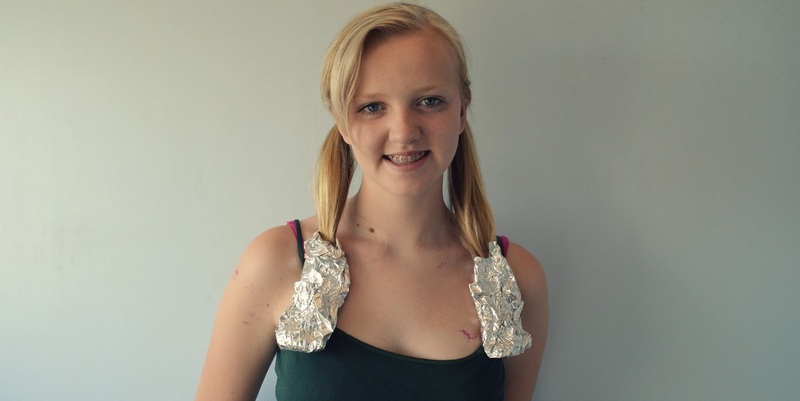 So I split my sister's hair into two even sections, popped some foil under the hair and began to paint away. Obviously you must decide how high/low you want your dip-dye to be and whether you want a straight, bold line or a softer, blended line. Just dip your brush in the dye and brush on to the ends of hair, making sure each side is even and evenly coated. ...And voila! The shade of the dye is the exact shade promoted on the box, it's quick and easy to do and looks awesome. If you fancy giving your hair a pop of colour or a temporary make over, I would definitely recommend Live Colour XXL. 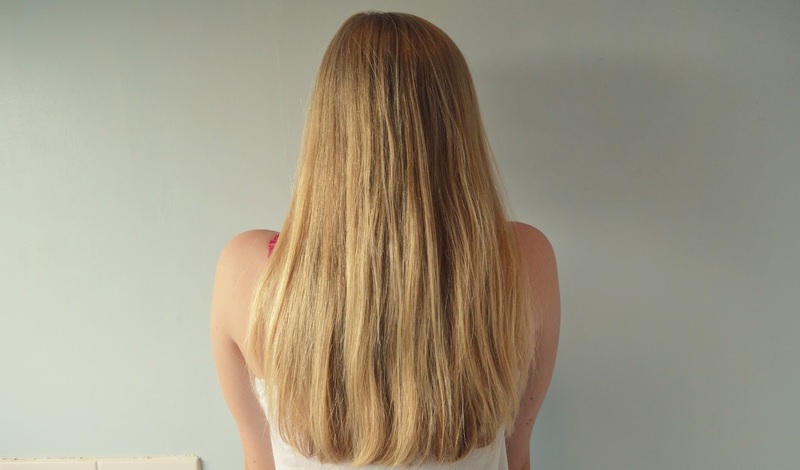 My sister's hair looks gorgeous, it's in great condition and was done quickly and easily. 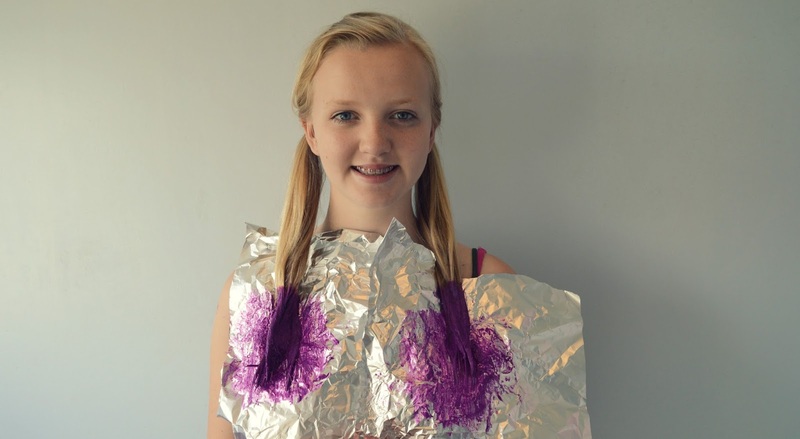 For anyone who's thinking of dying/dip-dying their hair for summer, I had to share this. Give it a go and show me the results! 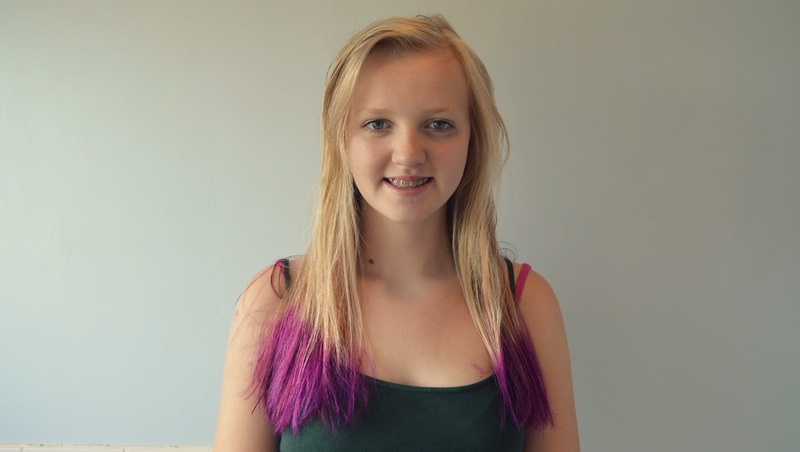 What are your favourite coloured hair dyes? my fave hair colour was when I was pink, but alas it didn't last very long. Currently a red head after a period of being a raven haired beauty...next i really want to join the sea punk band wagon and go blue/green...soon! Ooh blue/green sounds so funky! My hair is really dark so bright colours are hard to get, but I swear I'll go lavender/baby pink one day!! 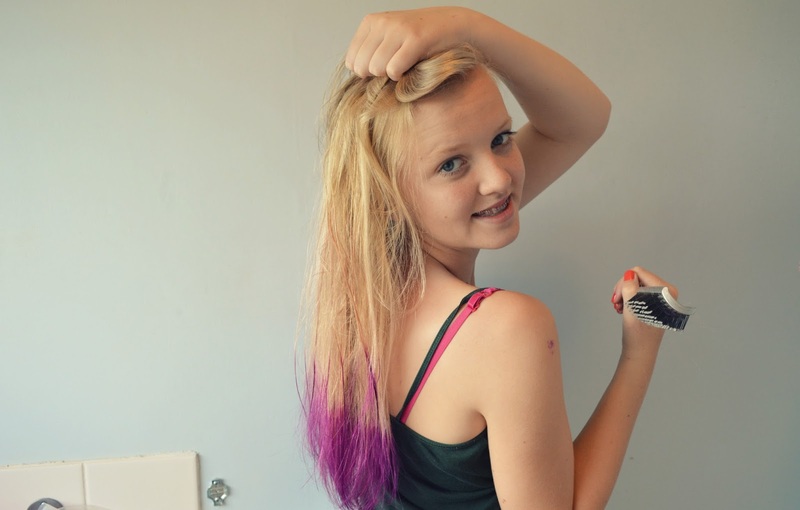 I have dark hair too so dying it bright colours is a lot of work! Yep, way too much work! Thanks lovely! Her hair looks amazing! 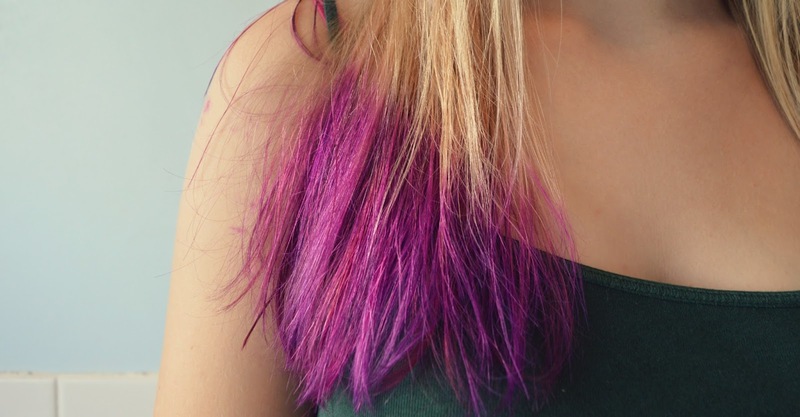 I would love to dip dye my hair a bright colour but I think it's too dark, and I don't want to bleach it. But I might have to experiment a bit! Shes so lucky to have such lovely blonde locks and be able to play with colour without bleach! I used to love dying my hair in the summer holidays but got suspended in middle school for going back with bright red hair! haha Oops! I know!! I'm so jealous - lovely long blonde hair, and a dye that washes out after a few weeks. I think she's thinking of dying her whole head soon, so of course I'll post it up if she does! Schools are so strict about hair colour, I also got a big telling off for having red hair in school! Arriving at the Emirates Suite, the pop singer kept adidas store a low profile in a cool and casual ensembleSporting a light grey sweater layered over a white T-shirt, Niall also wore a pair of adidas originals online blue Paige jeans. He added a pair of dark Rayban style sunglasses adidas factory outlet and his signature platinum blonde locks were teased upwards.